Welcome to School Choice Nevada! Nevada offers multiple levels of schooling options to fit the educational needs of nearly half a million children and their families. School choice and education opportunities are extremely important to Nevada parents, with up to 70 percent of parents believing in some form of educational choice program. When the 2015 Nevada State Legislature passed the most expansive school choice program in the nation — universal Education Savings Accounts — many parents rushed to sign up for what looked like the future of educational options in Nevada. Due to politics in the following legislative session, however, the program now remains unfunded. However, educational options are still available across the Silver State for many Nevadan families! There are simple actions which parents, guardians and students can take to maintain the current programs and even expand school choice opportunities. The goal of these innovative educational choice programs is to empower parents with more flexibility to pursue the most appropriate learning environments for their children's needs. And, where it has been tried it has worked. School choice programs improve student achievement and are more responsive to the unique needs of individual students. In addition, studies have shown that educational choice programs like Nevada’s Opportunity Scholarship also have the potential to benefit public school students by increasing per-pupil funding for the traditional public schools. 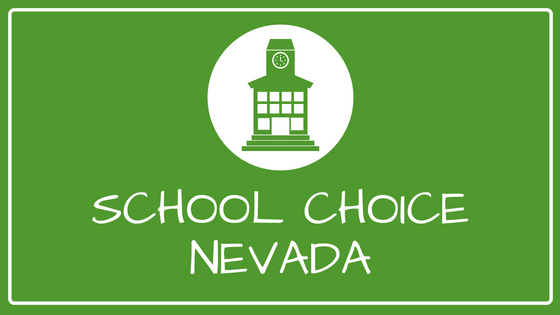 School Choice Nevada is designed to be a resource for parents to learn about educational choice options available to Nevada families and further these options for Silver State students.